The '70s is one of Michael Kors' biggest inspirations, which explains his love for paisley print - after all, it was the pattern of the decade. 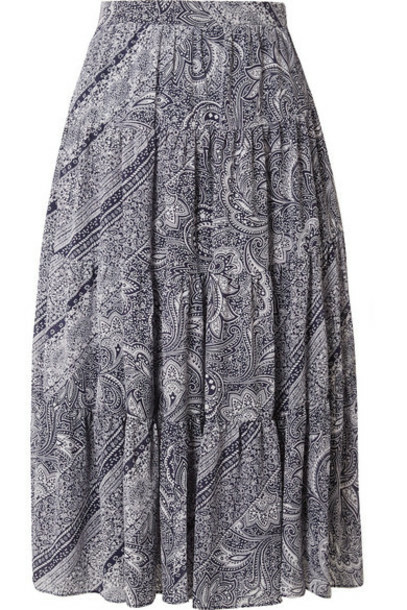 This midi skirt is cut from lightweight crepe and is softly pleated. It's exactly what you'll want to wear on vacation with slides and a basket bag.